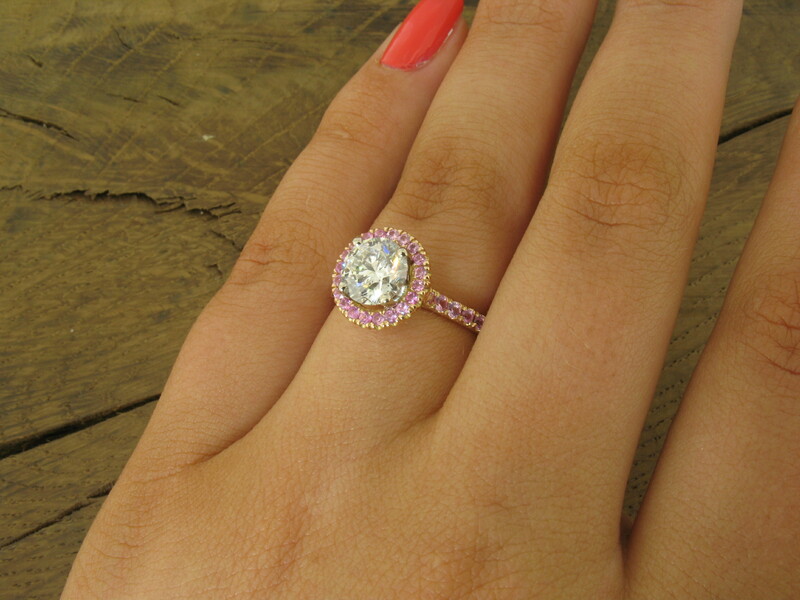 Diamond and pink sapphire halo ring in rose gold. This bespoke ring was made as a surprise engagement ring. 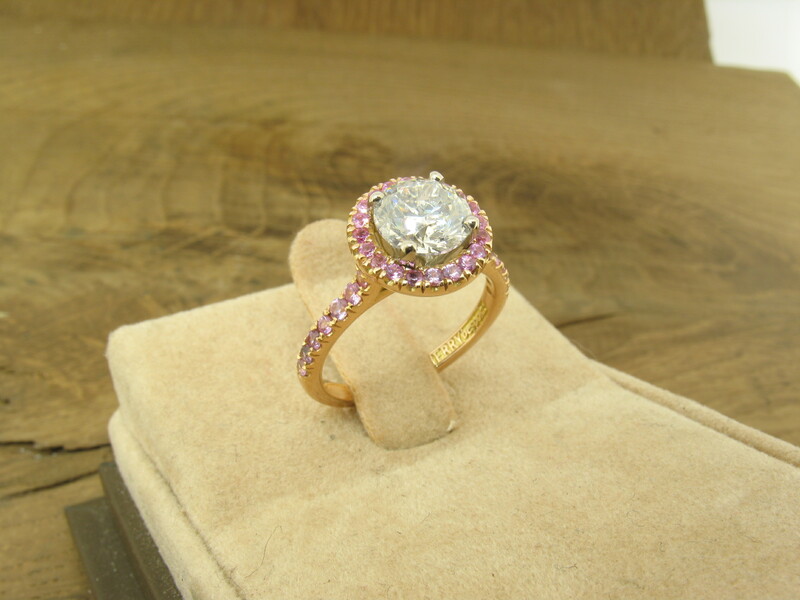 The recipient loved the combination of baby pink sapphires and a big, 1.32ct brilliant cut, white diamond. They were set into a uniquely designed ring, made in 18ct red gold. The warm rosy gold complimented the pretty pink sapphires. The big diamond was set into an 18ct white gold, four claw mount, which set it apart form the lower halo. The way the cluster of sapphires was placed, will make it possible for a wedding ring to tuck up against it, without having a gap between the two rings.